Ask anyone in Sri Lanka and they will speak of homes in Jaffna with great nobility. Such is the dignity of the northern capital, where our guests are treated with the utmost respect – not as visitors, but as family. As we proudly share these values with the spirit of our legendary hospitality, the heritage of the north blends in seamlessly, producing a splendid exposition of contemporary culture. At seven stories high, Jetwing Jaffna stands out as a symbol of luxurious Sri Lankan hospitality in the northern province. 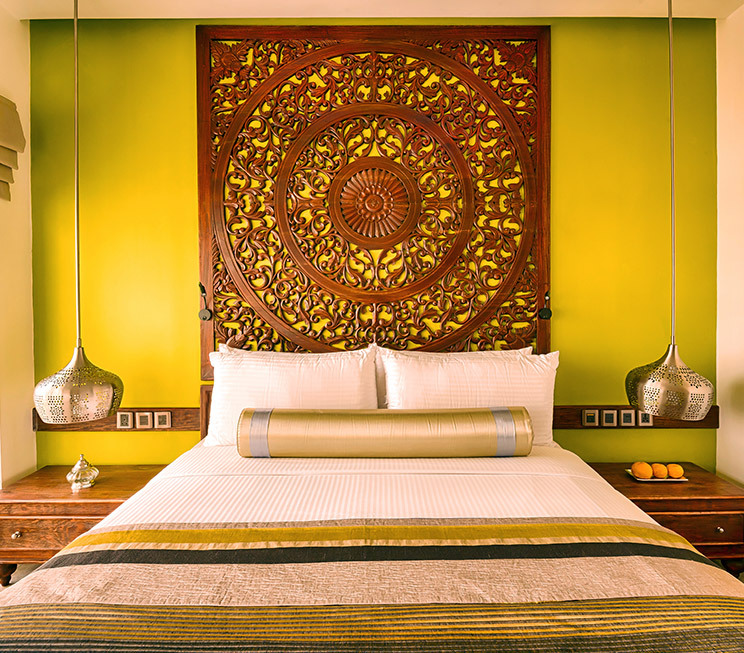 In every one of our 55 deluxe rooms, walls adorned with traditional art not only tell stories of this region’s history, but also complement our furnishings of rustic northern colours – creating a distinctly modern living space for your absolute comfort. And with the added benefit of being one of the tallest hotels in Jaffna, your private balcony is arguably the best viewpoint on the peninsula – with panoramic views of the city, lagoon, and lands beyond. Of our 55 rooms are available in double or twin configurations, five of which are interconnecting and three which are specially equipped for the differently abled. Please note that Jetwing Jaffna is unable to provide accommodation and meals for drivers at this time.